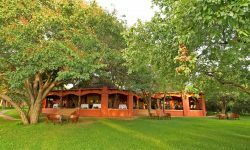 Sanctuary Chobe Chilwero is a luxurious riverside retreat in the heart o the bush on the edge of the Chobe National Park, home of the largest population of elephants. 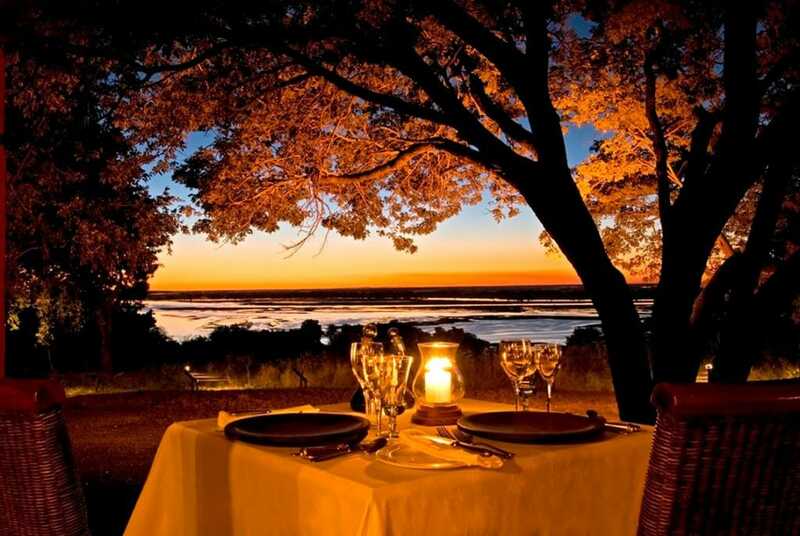 This lodge sits above the Chobe River offering unparalleled panoramic views across the islands and floodplains as far across as Namibia. 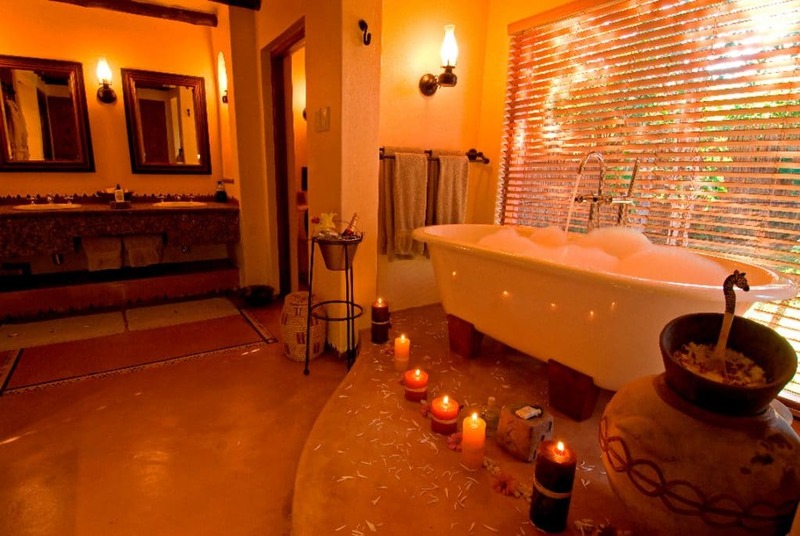 The Lodge consists of 15 en-suite cottages. 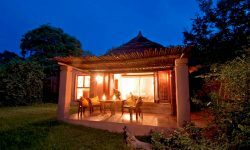 Guests can relax in the split – level swimming pool or unwind and be pampered in the spa or enjoy the gourmet food. 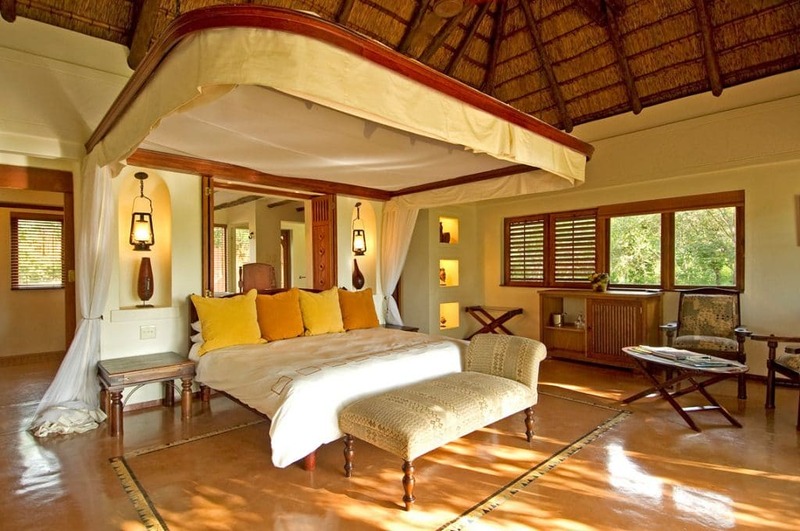 The lodge offers some of the best Photographic safari cruise opportunities. Guests can sit on the 18 seat boat which has a upper and lower deck featuring 360 views of the surroundings with the special 360 degree swivel chairs. 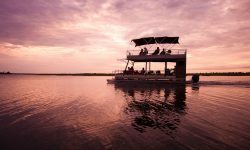 The upper deck offers great vantage points of the Chobe River while the lower deck boasts a bar and a perfect place to relax. 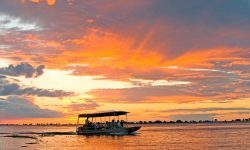 Guests can also enjoy ending the day with the Sundowner cruises sipping a cocktail while watching an African sunset over the still waters of the Chobe River from the comfort of the well designed riverboat. Chances to see buffalo, sable and roan antelopes, Sitatungas as well as lions, leopards and wild dogs. Game drives are done on open 4×4 vehicles where guests can see large herds of Elephants on the corner between Botswana, Zambia, Namibia and Zimbabwe. 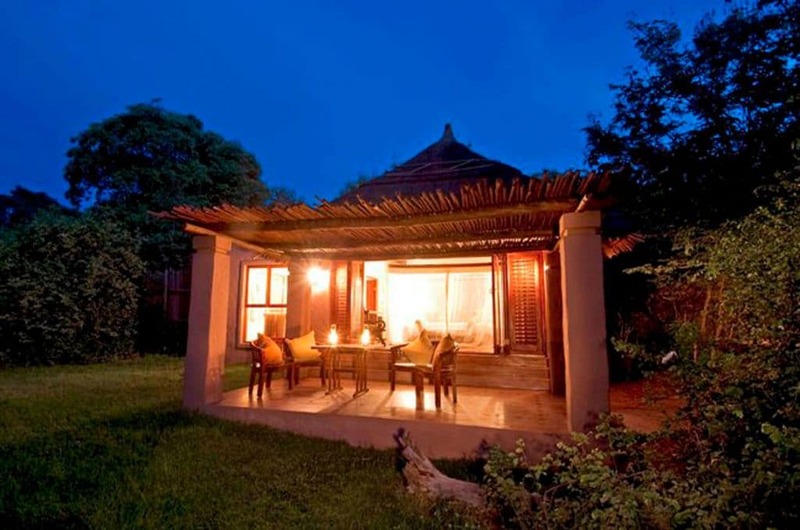 Along with the Big Cats and other predators guests can view Puku, hippos, red lechwe and impalas. 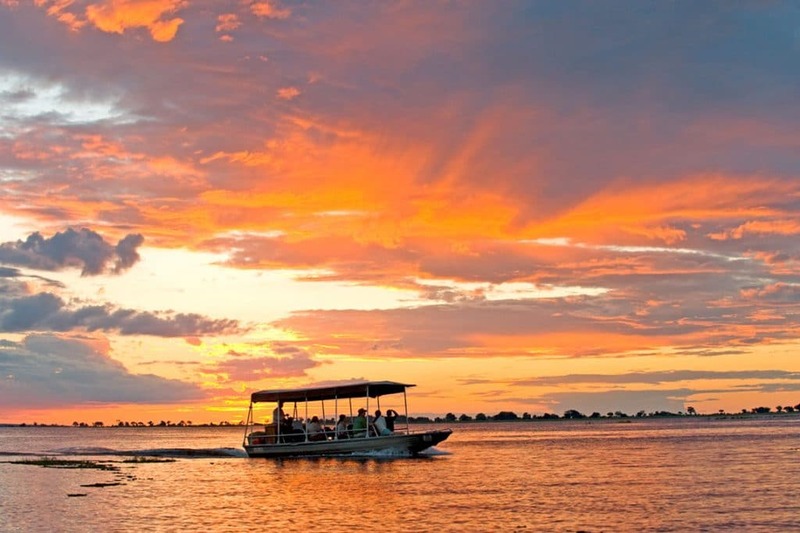 Chobe Chilwero is a child friendly lodge offering families and children of all ages a great safari experience. 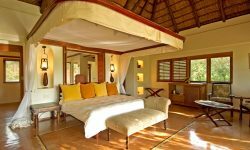 The lodge offers kids activities including guided walking safaris within the lodge grounds collecting pods, leaves, seeds and learning to identify tracks. Kids can also enjoy making their own pizza with the chef. 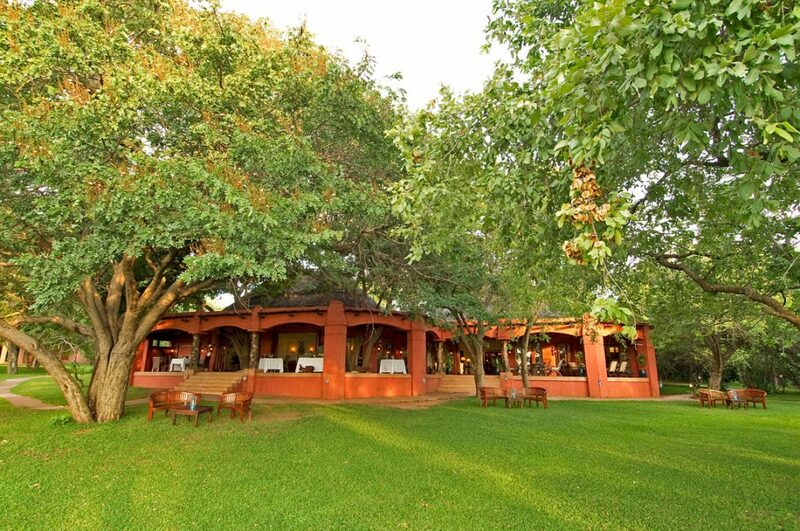 Children above 5 years to 11 years are permitted to go on game drives on discretion of the lodge manager. Children below 15 years are required to share a room with adults.